Summary: A fastidious eraser likes to keep the page clean, but a fun-loving pencil can’t stop making squiggles and other messes to keep the eraser on his toes. 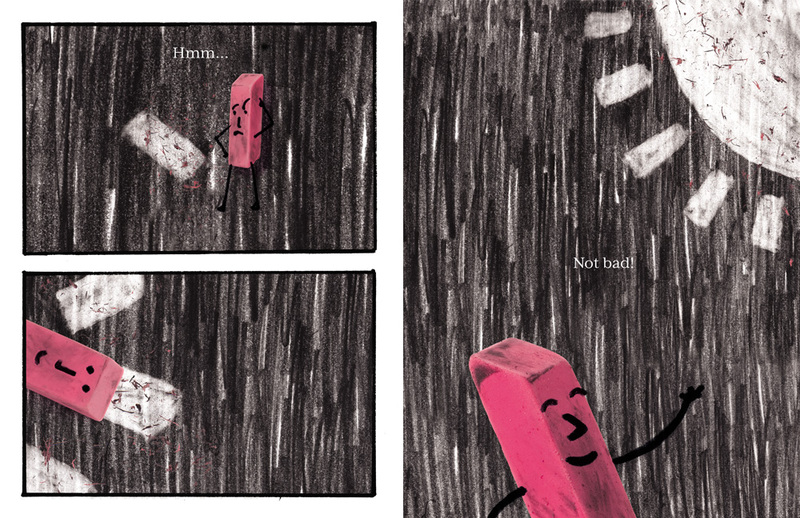 When the pencil creates a whole pencil army, the eraser flees into a dark forest…which has also been drawn by the pencil. Angry and frustrated, the eraser doesn’t know what to do until he notices that he can make his own drawings by erasing some of the darkness. He eventually makes a whole solar system and a spaceship for him to fly out. He lands back on a nice, clean piece of paper, but suddenly it all seems a little boring to him. 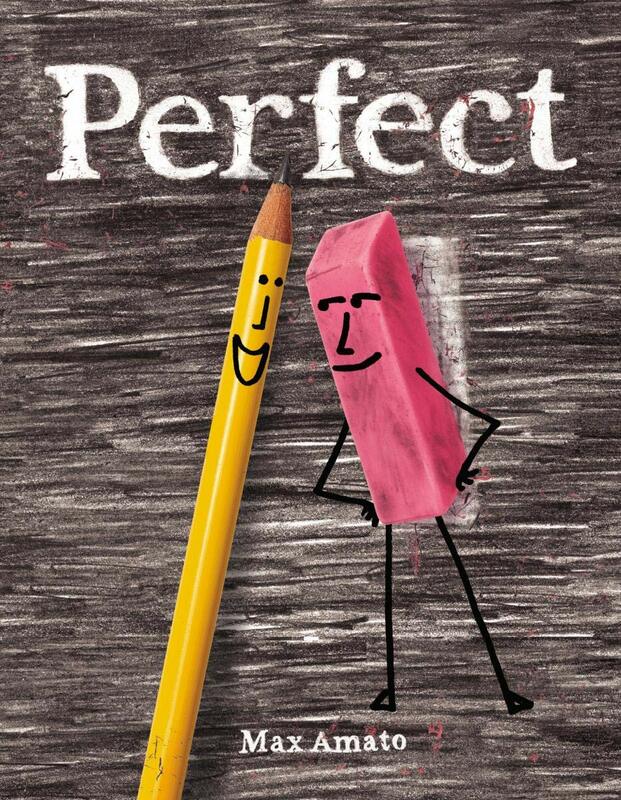 Fortunately, the pencil isn’t far behind, and together they create the word “Perfect” then, pose together beneath it. 48 pages; ages 4-8. Pros: The pencil and eraser really come to life in the illustrations, and kids will enjoy their antics; the final page shows how enemies can become friends. Cons: I couldn’t quite figure out if this was supposed to be a book about friendship, creativity, or problem-solving.